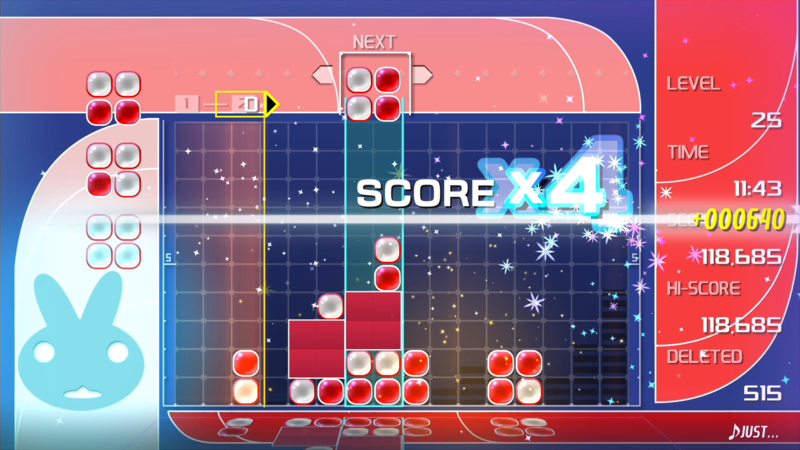 The critically-acclaimed puzzle game is back! 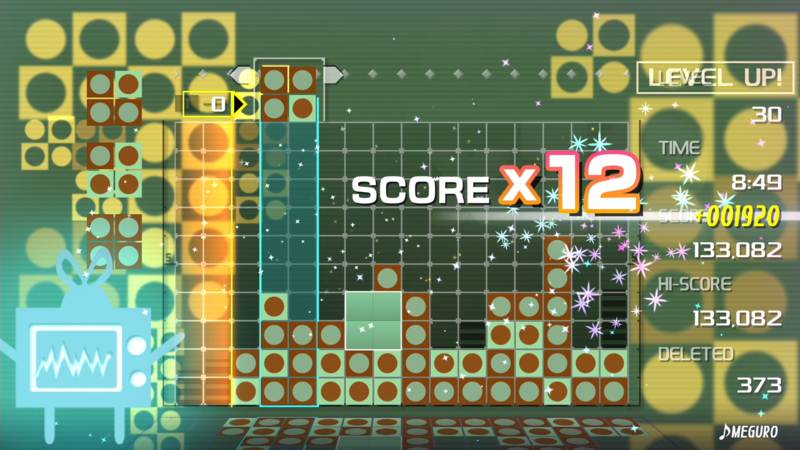 LUMINES REMASTERED is an HD remake of the original Lumines that debuted in 2004 on the PSP. 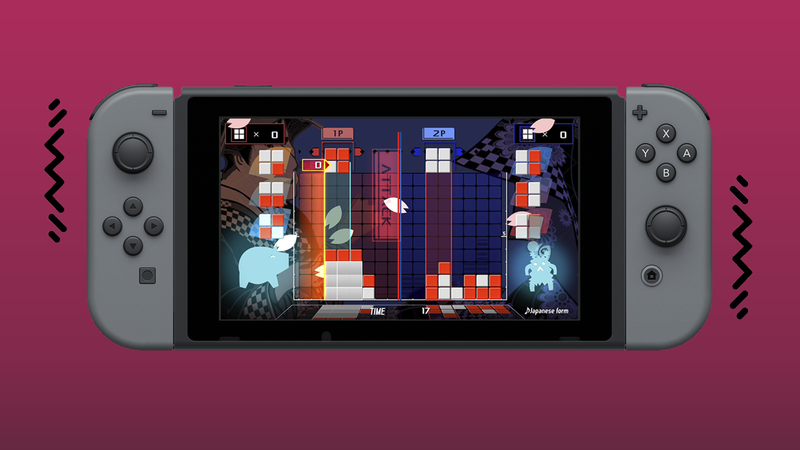 Earning high praise and awards, it remained the top-rated title on the platform for four years and continued on to establish an action-puzzle series loved by millions of players. 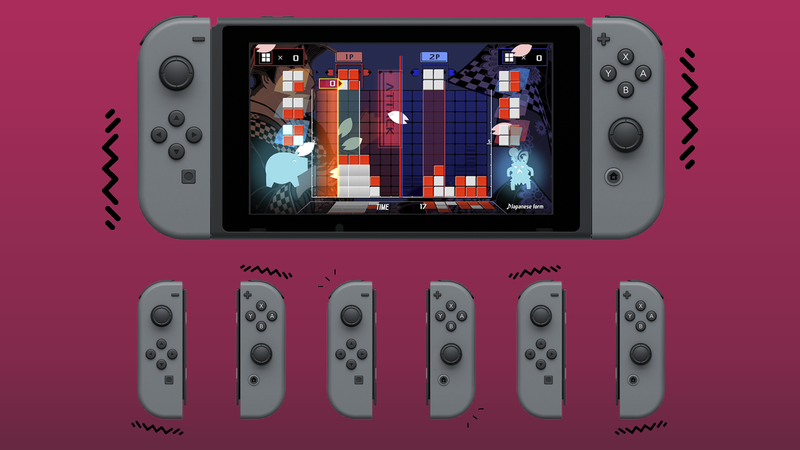 Relive the memories on PlayStation 4, Xbox One, Steam and for the first time on a Nintendo console! 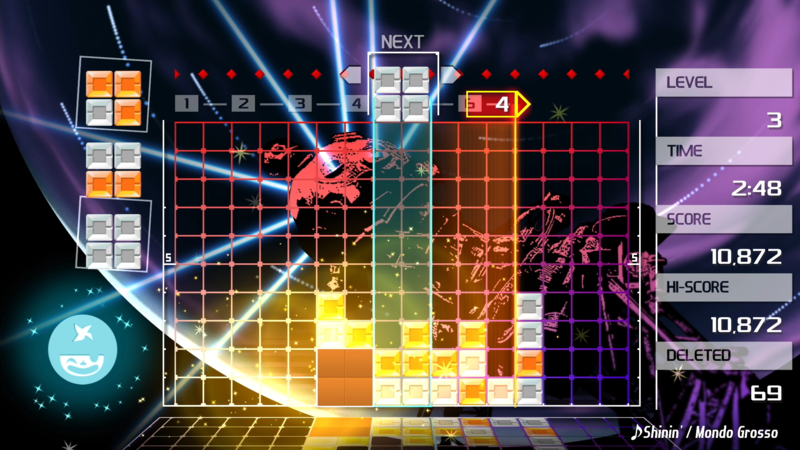 LUMINES REMASTERED beautifully marries the elements of sound, light and puzzle-action into one addictive, yet easy-to-play game. You’re at the center of the high-energy, block-dropping action while you groove to awesome house, trance and techno beats! 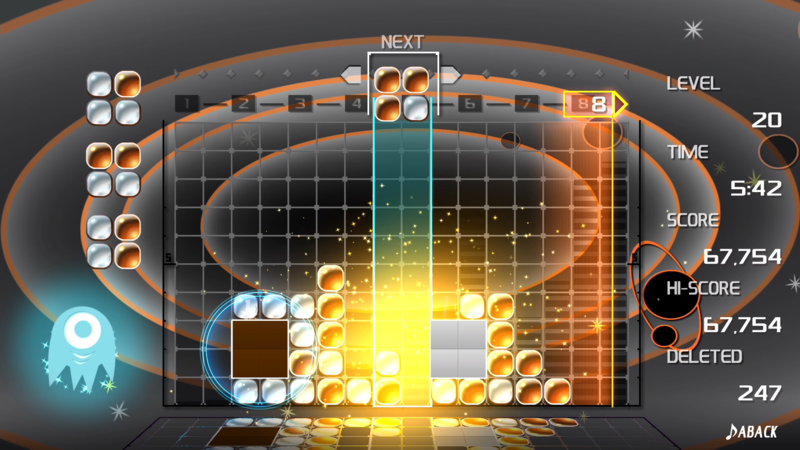 The basic game mode in LUMINES REMASTERED. You can select up to 10 of your favorite skins and play a single lap. Clear as many as blocks as possible in 60, 180 and 300 seconds! Create images (dog, cat, etc.) using one color of the blocks and surrounding it with the other color. Clear some tricky missions within a given time limit. Challenge yourself to an AI opponent! Squeeze them out of their grid to win! 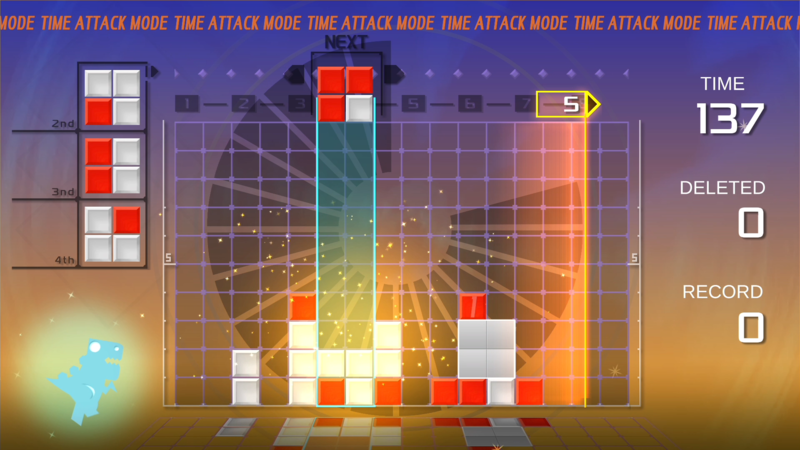 Play against a friend and see who’s the block-dropping champ! 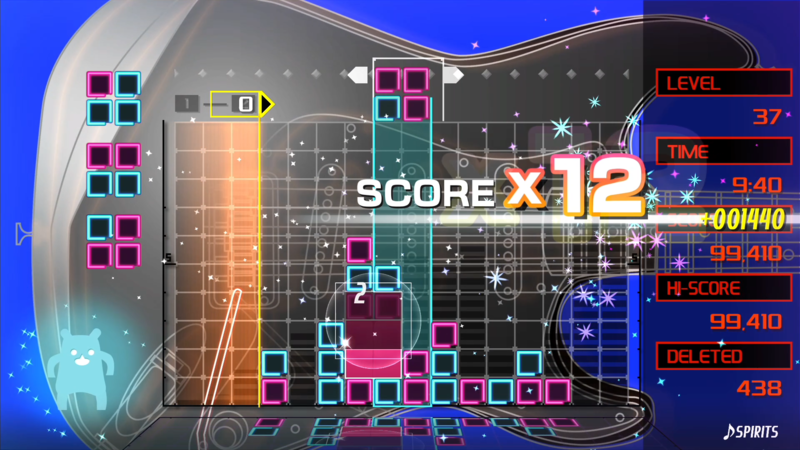 LUMINES REMASTERED is all about feeling the music and the action as you make your way through the skins!. Feel the vibration! 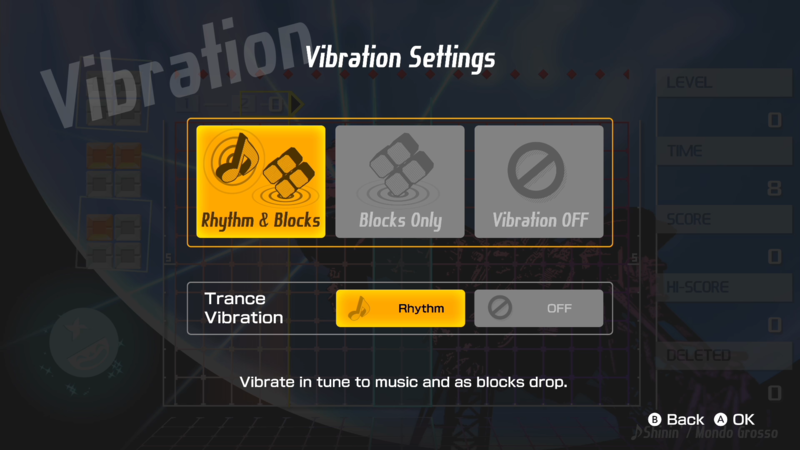 Select rhythm and/or block-dropping action in the menu. Turn on Trance Vibration mode, sync multiple controllers and feel the rhythm across your body!